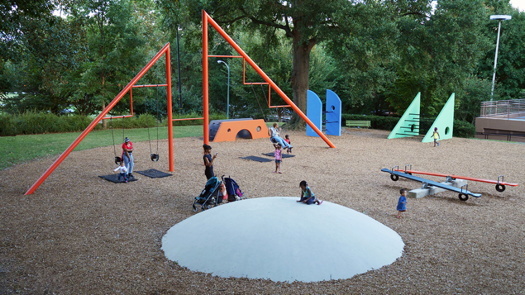 I'm glad it finally got built, and that it's being taken care of, and I'm a fan of Isamu Noguchi no matter what, but I've kind of lost interest in his Atlanta playground as a playground. It just doesn't look that engaging. Which is a bit tricky, perhaps, for keeping it nice, since its historic importance outweighs its playability. Anyway, Herman Miller donated a few thousand bucks to repaint the thing, and then they got a cozy warm hug of a story about it from the always good Alexandra Lange.